A new image featuring Kamen Rider Ghost's mid-season power-up form has surfaced the net giving us a preview of what's coming good for Takeru next march. Presenting the GC11 Grateful Soul. 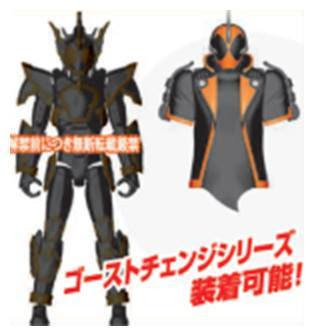 Straying away from the parka hoodie style of the series, this new form look's like your traditional armored hei-sei rider. B esure to comeback for more information on this new form as soon as it hits the air. Jack the Ripper would be good. Still waiting for an Einstein or Joan of Arc, too.